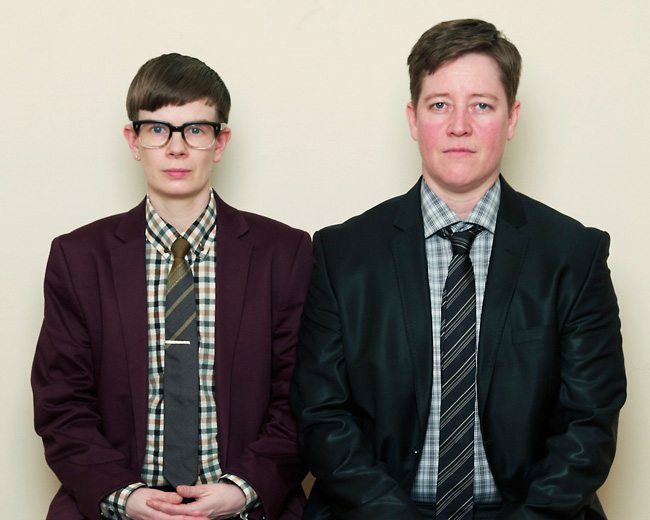 The amusing, talented, provocative authors of Gender Failure are coming to the Ottawa International Writers Festival. Chances are the new book will tell you more than you ever wanted to know about the breasts — make that the former breasts — of the much-published Vancouver author Ivan E. Coyote. Coyote and her fellow trans pal, Rae Spoon, have written what is surely the funniest, most educational, most provocative book of the season. It’s all about their bumpy ride trying to find their proper place in the gender binary and finally realizing that they were neither male nor female. They were “gender failures” and, finally, happy to be so. The two authors will be discussing their book and singing a few tunes — Spoon is a country singer turned indie rocker — April 25 at the Ottawa International Writers Festival. Coyote is the author of 10 books, including the short story collection One in Every Crowd. Spoon has an equal number of albums to their credit, including 2013’s My Prairie Home. But back to Coyote’s breasts. As soon as they started appearing, the adolescent tomboy tried to hide them by binding them with Saran wrap. Yes, Saran wrap. Later it was elastic bandages, and later still something described as elastic dancer shirts. By the time Coyote’s age hit the 40s, so had the author’s chest: 42C, in fact. Coyote was not happy with the fulsome “ladies,” as they came to be known. Eventually, Coyote had a double mastectomy and obtained a more personally satisfying look. Coyote, by the way, has the uncanny ability to write about this experience in an honest, but funny, way that is life-affirming and not the least bit cringe-inducing. Almost, but not quite, hidden in the jokes and snappy writing is the heartbreak so many people face who, like Coyote and Spoon, do not fit into gender stereotypes. Simply using a public washroom or gymnasium locker room can be a terrifying experience. Neither males nor females want to share facilities with people of indeterminate gender. Violence is common. Even passersby on the street feel the need to denigrate, loudly, a trans person. And, just for the record, it should be noted that Coyote and Spoon each prefer to be called “they” rather than “he” or “she.” Using a usually plural pronoun to refer to one person does not slip easily off the tongue for most people. Society may be generally more accepting of the transgendered in all their varieties. But the English language is less flexible. It has yet to adapt. Ivan E. Coyote and Rae Spoon will be at the Ottawa International Writers Festival on April 25 at 8:30 p.m. at Knox Presbyterian Church, 120 Lisgar St.